As a child, Nicole was ambitious, energetic and outgoing. She spent much of her childhood outdoors kicking soccer balls and exploring the outdoors with her two older brothers. Then at 8 years old, she was diagnosed with Osteogenic Sarcoma, a rare form of bone cancer. Later that year she lost her right leg above-the-knee and continued aggressive chemo therapy treatment. As any individual touched by cancer, Nicole's life took a dramatic turn. Following the 2002 Salt Lake City Winter Olympic games, Nicole stepped onto a ski slope for the first time. The beauty, adrenaline and excitement of three-track skiing captivated her, but something was missing. Deemed "impossible" due to a lack of prosthetic knee technology, Nicole found her passion in snowboarding. In 2006 she became the first above-knee amputee, male or female, to compete in adaptive snowboarding. Her accomplishments spearheaded global demand for prosthetic knee technology and played a fundamental role in the introduction of snowboarding to the Paralympic roster. Nicole represented the United States in the 2014 Paralympic Winter Games and is an 17X World Cup Medalist. She is consistently ranked as one of the best adaptive snowboarders in the world. Not only is Nicole an amazing athlete, but she is an accomplished motivational speaker and holds a degree in business management. Nicole is an advocate for The Challenged Athletes Foundation, The National Ability Center and childhood cancer research. Nicole captured the audiences attention with her dramatic delivery of her story and kept their attention throughout. She was very inspiring and gave the audience courage to follow their own dreams while balancing all aspects of life. 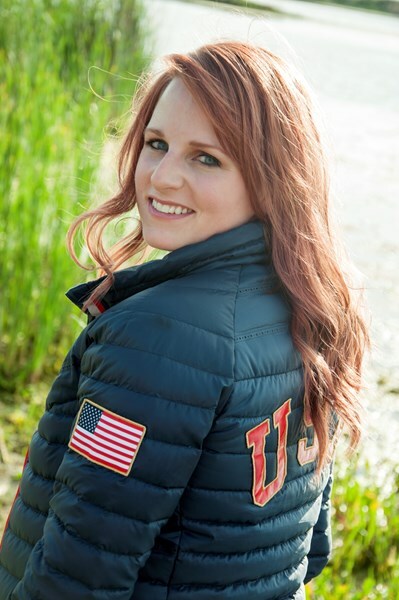 Please note Nicole Roundy, Athlete, Speaker, Paralympian will also travel to Ogden, Roy, Clearfield, Layton, Hooper, Syracuse, Cache Junction, Kaysville, Huntsville, Eden, Farmington, Bear River City, Morgan, Willard, Centerville, Bountiful, Woods Cross, Mantua, Brigham City, Croydon, North Salt Lake, Plymouth, Howell, Paradise, Corinne, Enterprise, Millville, Riverside, Logan, Newton.